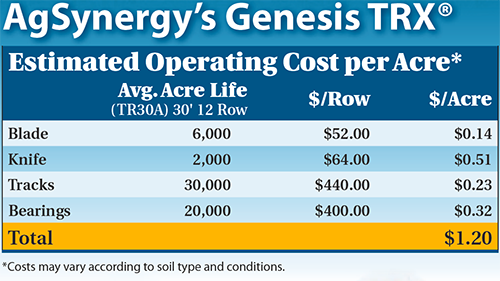 Genesis TRX™ is a single disk, high speed opener for precision placement of anhydrous ammonia. Durable 4 ¾” wide rubber track that holds residue stationary while coulter cuts through it. 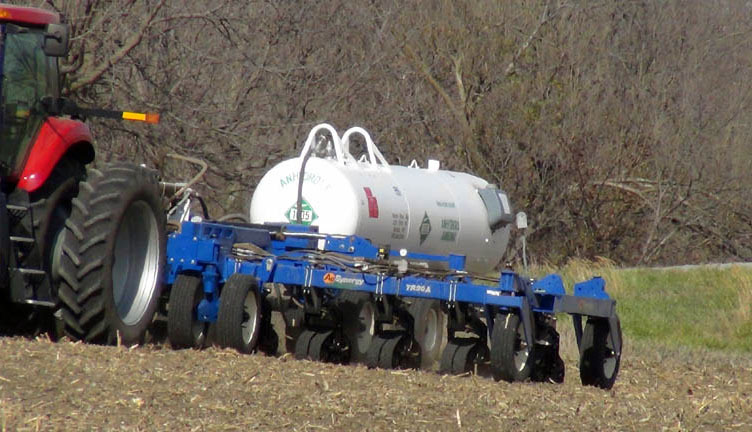 Holding effect minimizes residue movement and provides for superior sealing of anhydrous ammonia. Rugged, heavy duty undercarriage with ¾” thick steel rails and components lubed for life for minimal maintenance. Followed by placement knife with shatter-wing, both of which are adjustable to application depths of 4”, 5” or 6”. Shatter-wing enables superior sealing performance. 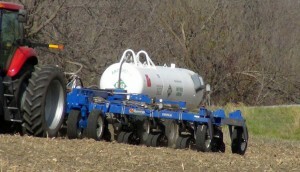 Independent hydraulic cylinders allow for excellent row unit travel. Each row unit has total vertical range of motion of 16” and road clearance of 8 ½”. Side to side oscillation at 5 degrees provides superior trailing in contoured ground.